You won't find any foam in the Light Monkey helmets; we use an adjustable suspension similar to a construction helmet. These helmets are available in one size that fits most. The size range is 20 to 23 inches (52 to 58 cm). In fact, some people remove the suspension altogether and use a thick hood for spacing. The helmet includes an adjustable chin strap of soft nylon webbing with a quick disconnect buckle. 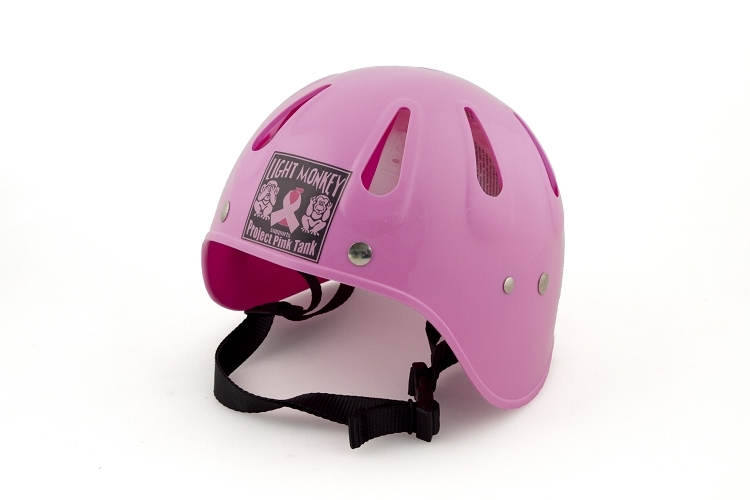 Please be advised: the helmets offer minimal impact protection and act more as a bump cap than a climbing helmet. The greatest advantage of the Light Monkey helmet is its suitability for mounting backup lights for easy access, or LED primary lights to free up your hands. Even better, it's perfect for mounting a GoPro® camera!